Let’s not kid ourselves, it’s easy to overindulge on a cruise — after all, that all-you-can-eat buffet is brimming with irresistible treats. Yet the bounty of amenities aboard Royal Caribbean’s new Symphony of the SeasSM and other Oasis Class ships also make it easy to take good care of yourself and loved ones. We chatted with health and fitness expert Schalk van Staden for his top tips to achieve better health on the high seas. How do you find balance between wellness and indulgence? I always tell our guests that the key in life is “everything in moderation.” Follow your daily routine and have your treats. You are on vacation after all! We also curate fitness classes, as well as free health and beauty seminars to help guests lead healthier lifestyles. You can create your own workouts: Taking the stairs instead of the elevator burns seven times more calories, and you can enjoy fresh ocean air and spectacular views by jogging or walking on the top deck that goes all around the ship. Don't forget to pack your fitness tracker! What are some of your go-to health foods on board? On Symphony of the SeasSM alone we have 22 restaurants, so there are plenty of choices! My favorite wrap is turkey and guacamole — a great source of protein, fat and carbohydrates. 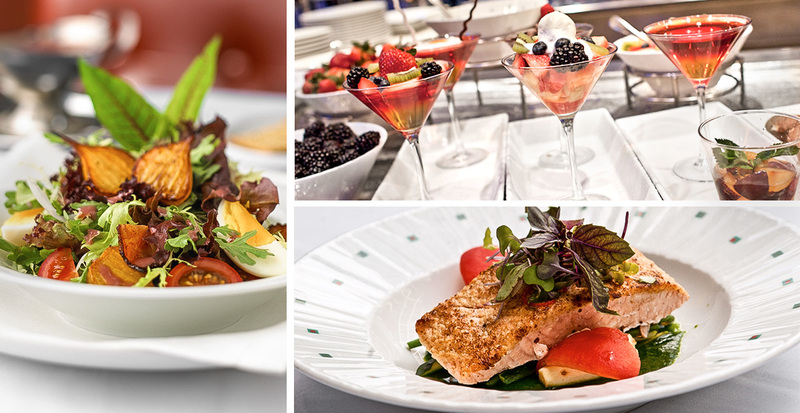 Solarium Bistro has healthy, spa-like cuisine all day, including salads, grilled fish and roasted chicken. Among the specialty restaurants, Chops Grille in Central Park serves great food in ideal portion sizes. Our Vitality Café also has amazing made-to-order fruit and veggie juices. If someone wants to try an intense workout, what do you recommend? We cater to every level of activity, but the Trilogy boot-camp classes and result-based trainings will definitely push fitness buffs to their limits. 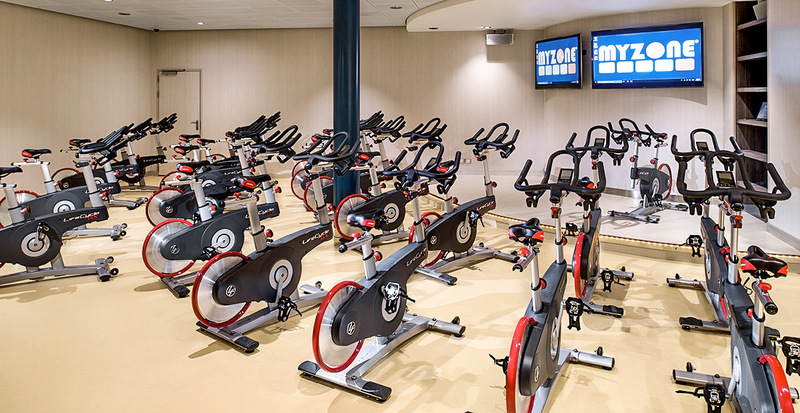 We also have an indoor cycling class that's high-energy, fat-burning and fun. A Tip: A Select Class Pass X3 bundles specialty classes into one lower price. Other fun, calorie-burning activities include rock climbing (there's even speed climbing during select hours), testing your skills on the FlowRider® surf simulator, taking a spin on the ice rink and playing a pick-up game of basketball on the full court. In the Caribbean, are there active adventures that call to you? Jet skiing from our private island of Labadee®, Haiti, or taking a ride on the longest overwater zip line, the Dragon’s Flight, is sure to burn calories. The Dunn's River Falls tour in Jamaica or a walking tour to Mexican ruins are great choices for active shore excursions. I also tell guests to keep an eye out for our beach yoga classes in Labadee® and CocoCay®, The Bahamas, which take place any day a Royal Caribbean ship is in port. 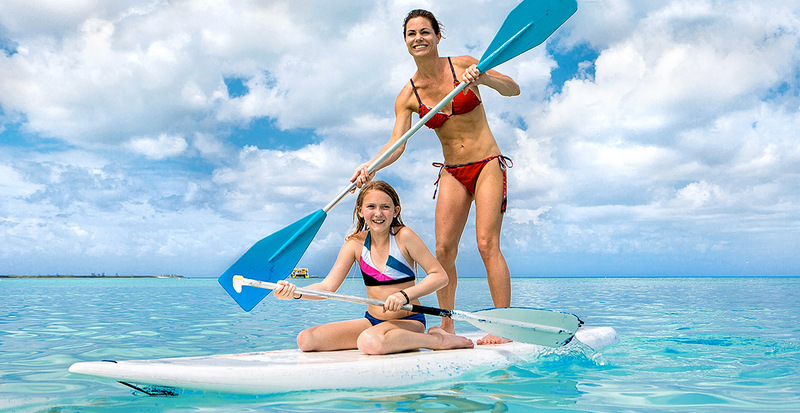 Specialty Active Adventures group of shore excursions encompass activities like paddleboarding, bike riding, snorkeling and swimming. 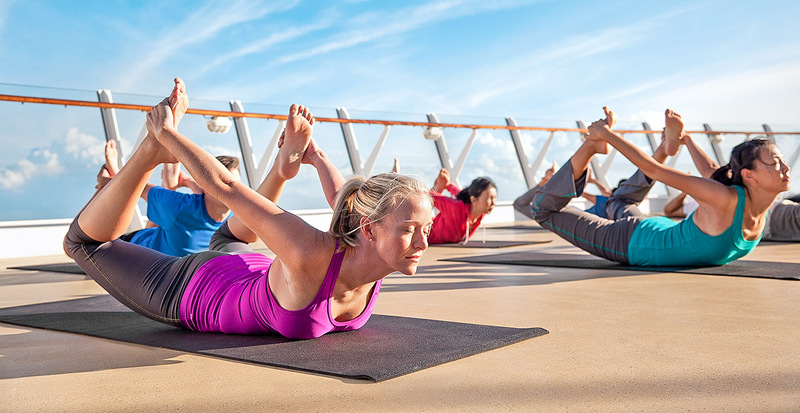 On Royal Caribbean’s Symphony of the SeasSM, the fun doesn’t end in the dining room and fitness facilities. From zip lining across the Boardwalk nine decks high to riding the waves at FlowRider® surf simulators, get to know the world’s largest cruise ship when we reserve your next vacation. We’ll book the best cabins — whether it’s a Central Park-view balcony stateroom or a family-friendly Aqua Theater Suite — and provide extra amenities such as valuable shipboard credit. Find your personal oasis on Royal Caribbean’s Oasis Class ships. Contact us to book your next voyage.